Here's a joke that arrived in my email today. After years of hiding the fact that the love is gone, the last child moves out of the house and Mom and Dad announce they're getting a divorce. The kids are distraught and hire a marriage counselor as a last resort at keeping their parents together. The counselor works for hours, tries all of his methods, but the couple still won't talk to each other. Finally, he goes over to a closet, brings out a beautiful upright bass and begins to play. After a minute or so, the couple starts talking and they discover that they're not actually that far apart and decide to give their marriage another try. The kids are amazed and ask the counselor how he managed to do it. He replies, "I've never seen a couple that wouldn't talk through a bass solo." Bass players think they get no respect. Janet Davis (a bass player) sent me this. She once told me "No one remembers the bass player's name." Charles Mingus, however, is a bass player and composer to remember. (Read about him on Wikipedia.) I think of him as an insanely great musician. Each Mingus video shows a live performance of one piece with small ensemble. 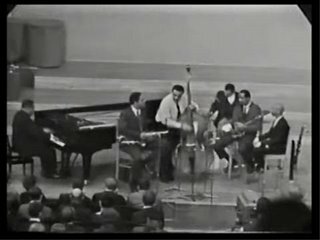 Click her for the first clip - So Long, Eric performed in Norway in 1964. Wearing suits and ties and short hair, their compact stage setup would make you wonder if they're playing the Trout Quintet with a drummer. 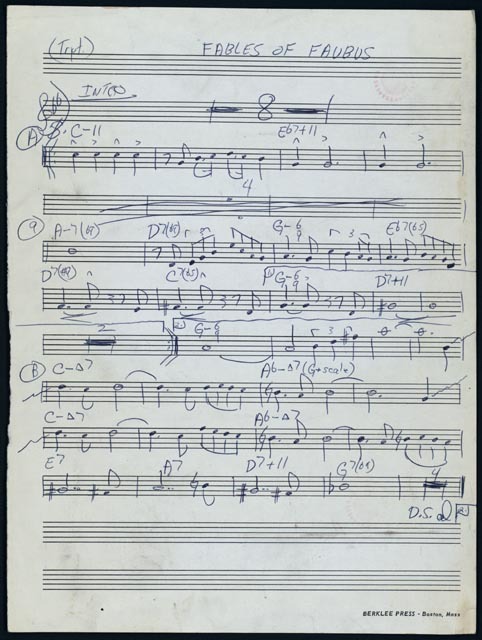 Eric Dolphy, to whom the piece is dedicated, solos on alto. The last few moments, after the tune repeats, are a classic Mingus musical touch. The second clip is Flowers for a Lady recorded in 1974 in Italy. It's a quintet, piano, bass and drums plus tenor and bari saxes. Hamiet Bluiett plays an amazing bari solo. This was near the time I saw Mingus live on an off night in an empty jazz club in Chicago. He looked angry - I now know he probably was. I was a college senior studying classical music with no clue what I was hearing. Years later, when I discovered Mingus' music, I started to realize the importance of what I'd heard back then. As I've gradually lost interest in jazz over the last decade, I've maintained - even increased my interest in Mingus. In his recordings you can hear him lead a group on bass, push it from below. I find his compositions moving and relevant and memorable. Like another of my favorite musicians, Astor Piazzolla, writing music for ones own ensemble seems to produce high quality results. 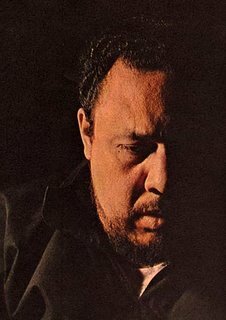 Another good Mingus experience is a biographical movie: Charles Mingus, Triumph of the Underdog It covers Mingus' entire life with lots of interviews - and way too much Gunther Schuller. Watch for a three-second clip of Milt Buckner at the piano that had me rolling on the floor in laughter. 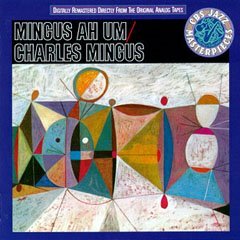 I'd assumed that "Mingus Ah Um" was a play on Latin declensions (I know that you know that I know we both took Latin in high school, lo these many eons ago). Mingus, as you know, started out as a cello player in the LA Unified School District (like me, but decades and socio-economic strata removed, of course), and I had thought, perhaps from something I'd read in his autobiography, that he also studied Latin there. I'm with you on "Ah Um," of course, though I'm equally smitten with "Blues and Roots," which came just before or just after "Ah Um." And I'll listen to Mingus when I can't listen to any other jazz.